TITANIC ARTIFACTS ON VIEW AT LUXOR WILL BE RETIRED JULY 18: Seven priceless artifacts recovered from the RMS Titanic wreck site will be retired from public view and returned to its conservation facility after a three-month special engagement April 15-July 18 at the Titanic: The Artifact Exhibition inside at the Luxor.All seven artifacts, which include textiles, personal goods and paper documents, will be housed in a special conservation case. Titanic: The Artifact Exhibition is open daily from 10 a.m.–10 p.m. with the last admission at 9 p.m.
COUNTRY STARS OLD DOMINION WILL PERFORM AT SANTA FE STATION: Fresh off their first Academy of Country Music Awards win in the New Vocal Duo or Group of the Year category, rising country stars Old Dominion will return to Las Vegas for a special performance at the Chrome Showroom inside Santa Fe Station on Friday, May 6 at 8 p.m. Tickets are $20, $30 and $40. SPEEDVEGAS’ TRACK OPENS TO THE PUBLIC: SPEEDVEGAS officially opened the track for the public last Friday marking the first in a series of opening events for Las Vegas’ newest adrenaline attraction. This summer the rest of the $30 million motorsports complex will open, including the 22,000-square-foot, two-story welcome center with indoor and outdoor observation decks, café and meetings and event space. NACHO DADDY EXPANDS WITH NEW LOCATION AT MIRACLE MILE SHOPS: Nacho Daddy will open its fourth Las Vegas location this summer in mid-August at Miracle Mile Shops at Planet Hollywood. 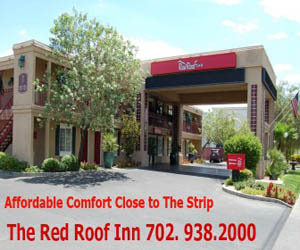 The restaurant chain made its mark in Las Vegas in 2010 and has a presence in Henderson, Summerlin, and Downtown. 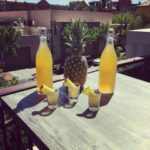 Nacho Daddy is known for Mexican cuisine including its signature nachos and combination plates, margaritas and famous Scorpion Shot. WAFFLE BAR OPENS AT TIVOLI VILLAGE: Waffle Bar, a casual sit-down restaurant serving authentic Liege waffles and crepes made with a variety of fresh and specially imported ingredients from Belgium, has opened at Tivoli Village directly below Market LV and next to Brio. Some menu staples include the Waffle Sandwich with deli meat, Pizza Waffle, and Chicken and Waffles. For folks with dietary restrictions, there are vegetarian and gluten-free options along with min sizes, perfect for kids. Hours are 8 a.m. to 8 p.m. daily with prices ranging from $5.99 – $12.99. THE SCINTAS EXTEND THEIR RUN AT THE PLAZA THROUGH NOVEMBER: Las Vegas’ first family of entertainment, the Scintas, is extending their limited engagement performance schedule of their highly regarded music and comedy show through November 2016 at the Plaza, where they opened last February. Their schedule will be to perform at 7:30 p.m., two select Friday and Saturday nights every month. Upcoming dates include May 6-7, 13-14 and June 3-4, 24-25. 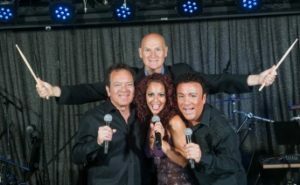 The Scintas, brothers Frankie and Joe, “honorary Scinta” Peter O’Donnell and newest addition, Janien Valentine, have become a fixture in Las Vegas for the past 16 years. Tickets start at $29 for general admission and $49 for VIP. A special “dinner and a show” package is available for $99, which includes a three-course prix fix dinner at Oscar’s steakhouse. 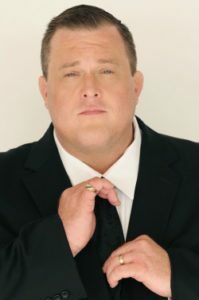 COMEDY SUPERSTARS UNITE AT 24/7 COMEDYFEST AT ORLEANS ARENA: A night of laughter is in store as top comedians Billy Gardell from “Mike & Molly,” Frank Caliendo with spot-on impressions, and Jackie “The Joke Man” Martling from “The Howard Stern Show” for 18 years join others headlining the 24/7 ComedyFest at the Orleans Arena on April 23 at 7:30 p.m. Tickets start at $40. Bobby Slayton, often referred to as “The Pitbull of Comedy,” is most recognized in movies such as “Get Shorty,” “Ed Wood,” “Bandits” and “Dreamgirls.” Actor and comedian Brian Scolaro is most known for this appearances on “Conan”, as Doug on TBS’s “Sullivan & Son,” and as Stuart on FOX’s “Stacked.” Steve “Mudflap” McGrew is a regular at Brad Garrett’s Comedy Club, The Laugh Factory and Sin City Comedy Club in Las Vegas. RITA RUDNER APPEARS AT RED ROCK RESORT: Here’s a bargain, sharp-witted comedienne Rita Rudner will be doing her stand-up comedy show highlighting her trademark epigrammatic style in the Rocks Lounge at the Red Rock Resort on Friday and Saturday, April 22 and 23 at 8 p.m. Tickets are $30 and $40. LOCAL DISTILLING COMPANY WINS BIG AT WORLD SPIRITS COMPETITION: Nevada H&C Distilling Company, owned by Jonathan Hensleigh and Aaron Chepenik, who in 2007 co-founded The Griffin in the Fremont East Entertainment District downtown, recently won two coveted awards at the 16th annual San Francisco World Spirits Competition ® (SFWSC). 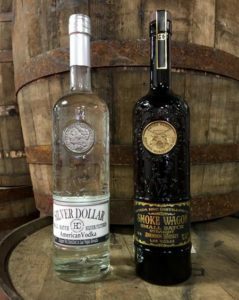 The company’s Smoke Wagon Bourbon, in the “aged up to five years” category, took home gold and its Silver Dollar Vodka won silver. In total, nearly 1,900 other entries from around the world participated in the competition that was judged by a tasting panel of 39 highly experienced judges. FOXTAIL® POOL AT SLS HAS STAR LINEUP FOR MEMORIAL DAY WEEKEND: Beginning Saturday, May 28, Foxtail Pool at SLS Las Vegas® will host a three-day extravaganza with hip-hop legends to celebrate Memorial Day Weekend. 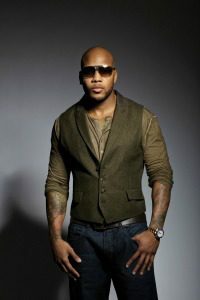 The renowned roster will feature performances by: chart topping performer Flo Rida (May 28); world-famous rapper Yo Gotti (May 28-30); Grammy Award-winning artist Lil Wayne and hip-hop heavyweight Ty Dolla $ign (May 29); and iconic lyricist, Ja Rule (May 30). SKY BEACH CLUB ANNOUNCES CELEBS FOR MEMORIAL DAY WEEKEND: Sky Beach Club, the new daylife experience at the Tropicana has announced a star-studded Memorial Day Weekend lineup with Hollywood couple Rob Kardashian and Blac Chyna hosting on Saturday, May 28 and rapper 50 Cent doing the honors on Sunday, May 29. 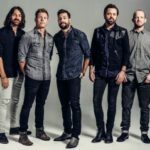 BROOKLYN BOWL ANNOUNCES FOUR NEW CONCERTS FOR SUMMER: Brooklyn Bowl has lined up four more new concerts for this summer including: New Orleans-jazz icons Preservation Hall Jazz Band Thursday, June 9; Rastafarian reggae singer Tarrus Riley Thursday, July 7; notoriously-barefoot Michael Franti & Spearhead Friday, Aug. 26; and post-rock instrumental outfit Explosions In The Sky Sunday, Aug. 28. Shows are at 9 or 9:30 p.m. and tickets range from $20 to $35 depending on the act. Shows already announced for this summer include: Blue October (May 4); Caravan Palace (May 5); Morgan Heritage (May 15); Dru Hill (June 18); Toad The Wet Sprocket & Rusted Root (July 11); The Claypool Lennon Delirium (July 31); and Kurt Vile and The Violators (Aug.16). 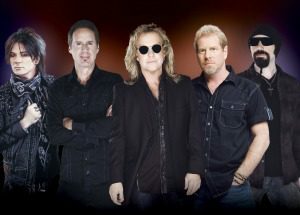 SHORT ENTERTAINMENT HIGHLIGHTS: Rockers from the 1980s, Night Ranger will bring smash hits like “Sister Christian” to The Orleans Showroom May 14 and 15 with performances at 8 p.m. Tickets start at $34.95. American indie rockers Kurt Vile and The Violators will bring eclectic American rock music to Brooklyn Bowl on Monday, Aug. 15 at 8 p.m. Tickets start at $20. This month, Damian Brantley returns as Michael Jackson in “Legends in Concert” in the Donny & Marie Showroom at the Flamingo. In Las Vegas’ longest-running show celebrating 32 years, Brantley will be joining the current cast including: Adele portrayed by JC Brando’, fan-favorite the Blues Brothers, portrayed by Eric Martin and Carmen Romano ; and music titan Prince portrayed by Frank Moore. The Lon Bronson All-Star Band takes over the stage at Club Madrid at 10 p.m. inside on the first and third Thursday of every month and there’s no cover charge. On Friday nights Yellow Brick Road turns up the music at 10 p.m. and there’s a $5 cover charge. 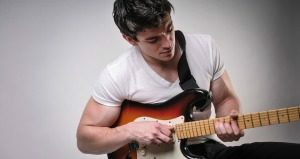 Gay singer Steve Grand will appear in concert on Friday and Saturday, May 13 and 14 at 8:30 p.m. at Share Nightclub located 4636 Wynn Road. 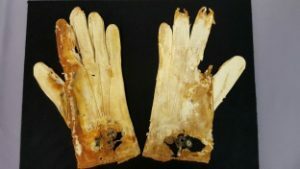 Helldorado ART SHOW AND AUCTION IS COMING UP: Helldorado Days’ Art Show and Auction features Western-themed artwork by local artists in any type of medium. The public is invited to submit an entry. The Art Show will run April 28-30 and be open to the public from noon to 5 p.m. at the Las Vegas Elks Lodge on West Charleston. There will be and Art Auction & Reception on Sunday, May 1 from 2-5 p.m. with proceeds going to local charities. This event will be followed by Helldorado Days Rodeo week which includes an annual parade Downtown, whiskerino contest, Pub crawl and street dance, and more. SEVENTH ANNUAL GREENFEST PLANNED AT DOWNTOWN SUMMERLIN®: Free public event GREENFest, co-founded by the GREEN Alliance and Republic Services, will celebrate Earth Day at Downtown Summerlin® on Saturday, April 23 from 10 a.m.–5 p.m. with more than 150 exhibitors. Other event attractions include interactive displays, arts and crafts, market place, beer and wine garden, kids zone, pet adoptions, petting zoo, live entertainment and conservation exhibits. There will be a Drive Clean Energy Las Vegas procession from 8 to 9 a.m. starting at Las Vegas Cyclery. SCIENCE-TECHNOLOGY FESTIVAL WILL OFFER NINE DAYS OF FREE EVENTS: The Las Vegas Science & Technology Festival will return for its sixth year from Friday, April 29 through Saturday, May 7. The Festival has become one of the state’s largest educational events. This year’s festival will offer nearly 40 free events all across Southern Nevada over nine days. It will culminate on May 7 with the Giant Science & Technology Expo, packed with interactive activities, demonstrations, and entertainment from more than 80 organizations throughout the valley from 10 a.m. to 5 p.m. at Cashman Center. 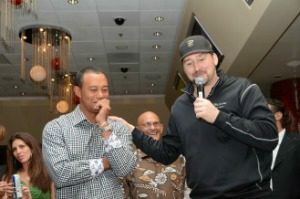 MGM GRAND HOSTS 18TH ANNUAL TIGER JAM POKER EVENT: Tiger’s Poker Night presented by the World Poker Tour® (WPT®), an exclusive charity poker tournament hosted by Tiger Woods and with an $11,000 buy-in, will be held at the MGM Grand on Friday, April 29. Poker professional Phil Hellmuth will emcee the high-stakes tournament during the 18th annual Tiger Jam event on the casino floor in front of the KÀ Theatre at approximately 7:15 p.m. Participants will have opportunity to play with some of the world’s top poker players including David Williams, Maria Ho and others. ABOUT TOWN NEWS: The Habit Burger Grill, known for its award-winning Charburgers, plans to open a second location in a southwest neighborhood on the corner of Blue Diamond Road and Decatur this summer. The new restaurant will have 58 dining seats, including indoor and outdoor dining, and a drive-thru window. Atomic Style Lounge, a retro-themed beauty salon and store for men and women, celebrated its grand opening in the trendy downtown Las Vegas Arts District at 1237 S. Main Street. 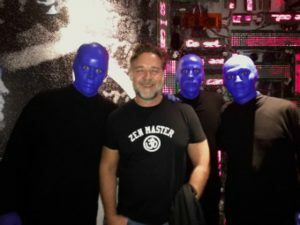 Actor Russell Crowe attended Blue Man Group at the Luxor recently and visited with the trio afterwards. The Shakespeare Institute of Nevada will hold “A Taste of Shakespeare at the Container Park” on Saturday, April 23 from noon-6 p.m. featuring live, outdoor Shakespeare performances. The event is part of the worldwide celebration of the 400th anniversary of William Shakespeare who was born and also died on April 23. There will also be an after show photo opportunity with cast members. Tickets are $5, and the event is open to all ages. The all-you-can-eat Gospel Brunch at House of Blues will change its name to House of Blues Gospel Brunch on May 1 and cost $54.50 and $27.50 for a child under 11 with two seatings at 10 a.m. and 1 p.m. Spring Festival 2015 hosted by fresh52 inside of Tivoli Village will take place Saturday, April 30 from 9 a.m.-5 p.m. The free festival will feature food and beer trucks, live entertainment, kids gardening, games and prizes, a petting zoo, local farm fresh produce, makers and crafters, artists, chefs, tasting and DIY workshops. 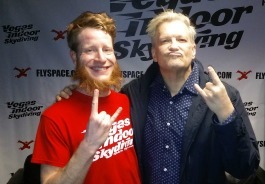 Host of the “The Price Is Right” Drew Carey earned his wings recently experiencing body flight at Vegas Indoor Skydiving and posed for photos with his flight instructor. XS Nightclub at Wynn will celebrate the return of its Sunday NightSwim with a grand opening party with DJ / Producer Alesso on May 1. Seasonal Sunday NightSwim opened this weekend and will run through September and features some the biggest names in electric dance music including Skrillex, Alesso, Major Lazer, and David Guetta on Memorial Day Weekend. New for spring at Loco Cantina in Town Square and only on the second floor patio is the PVT shot made with tequila infused for nearly two weeks with pineapple and vanilla. The tequila is and made by Loco Cantina’s bartenders. A shot is $3. At the Tivoli Village Main Stage, David Barton Gym is hosting a heart-pumping boot camp class every Saturday from 9:30-10:30 a.m. and relaxing yoga class every Sunday from 10-11 a.m. Classes are free and no reservation is required. David Marler will be the guest speaker for the Saturday, April 30 Distinguished Lecture Series at the National Atomic Testing Museum. His talk at 7 p.m. is “Triangular UFOs.” Marler has been featured in UFO documentaries seen on the History Channel and Discovery Channel. Event is free, RSVP by calling 702-794-5151. Preview Thursday is the Thursday prior to First Friday held in downtown Las Vegas. Many galleries and other businesses in The Las Vegas Arts District open their doors so serious art buyers can beat the crowds and mingle with other art lovers. BONKERZ COMEDY CLUB EXTENDS ITS REACH: Last Thursday, Double Barrel Roadhouse at Monte Carlo started stand-up comedy from Bonkerz Comedy Club. Every Thursday, Bonkerz Comedy Club will liven up the Strip’s rowdy roadhouse with a new lineup of comedians. Warren Durso as seen in “Cutoff” and “Even Money” will perform April 21 followed by Bobby Wayne Stauts on April 28. Bonkerz Comedy Club is held on select dates inside the Pahrump Nugget Event Center in Pahrump, Nev., an hour’s drive west of Las Vegas. Upcoming comedians include: Laura Hayden as seen on “Stand-up in Stilettos” on Friday, April 22 at 7 p.m.; Kyle Marlett, The Original Nerd of Comedy, as seen on “The Tonight Show” on Sunday, May 1 at 2 p.m.; and Jimmy Earll who is a Filipino-American born in French Canada on Sunday, May 22 at 2 p.m. Tickets are $10 and come with a free $5 slot play.